Most of us have no idea what we are looking for in a web hosting service. We talk to friends or other business professionals or bloggers. We ask them what web hosting company they use. Sometimes it’s just easier to let other people do the homework for us. So, we decided to do just that. This is our iPage Review. If you’re not into reading the entire review and just want some quick parameters to judge whether iPage is the right web hosting for you or not, then you’re in luck! We have collected the most requested parameters here. Overall, we would recommend iPage for anyone, beside anticipate large business who expect more than 100,000 visitors a month. We’ve done our homework and researched the iPage web hosting company. We’ve tried to think of everything so you don’t have to. There are a lot of web hosting companies popping up every week. They try to lure customers in with cheap prices. However, they don’t offer quality service. They know that once you build your website through them, you’ll put up with just about any level of service. It’s just easier to do that then to switch companies. We think it’s better that you not have to learn the hard way. You want a web hosting provider that has your back. You want to know that they are there to help you when you get stuck. You want them to offer security so you can sleep at night. You want to custom build your website without finding out halfway through that you can’t accomplish this. iPage offers everything the bigger companies offer, but they do it for a low price. They offer expert tech support and friendly customer service agents. In other words, Ipage in our opinion offers a great alternative to the largest players on the hosting market and they do so to a compatibleprice. In this review, we’ll take an in-depth look at iPage so you get the best possible knowledge about the company before choosing their services. Let’s begin with the fast round-up Pro’s and Con’s that a good iPage Review needs to have. There are many pros to choosing iPage’s web hosting. First, we have to mention the cost. Many companies make their plans pricing intentionally confusing. That way, you choose one in the middle of the road and hope for the best. iPage gets rid of all of that confusion when it comes to pricing. They offer a price based on 1-year, 2-year, and 3-year subscriptions. They even offer introductory prices to save you money. iPage is also very user friendly. It was designed with simplicity in mind. They want their customer to be able to build and monitor their website without getting frustrated or confused. They offer step-by-step tutorials just in case it does get too difficult. They also offer live tech support that will talk and walk you through whatever it is you are trying to accomplish. Security is important to iPage. They offer world class security. The have multiple data center locations for enhanced security. They offer free automatic backup so you don’t have to worry about losing your files. The pricing commitment may bug some customers. However, you are always free to terminate your services if you are not happy. iPage also offers a 30-day money back guarantee so you don’t have to worry about being stuck with a web hosting company you don’t like. iPage also offers a number of upsells throughout the course of your subscription. However, so do all web hosting companies. You can decline and go about your business with little trouble and no interference. When dealing with iPage’s customer service, you will find that it takes longer than you may like to get an answer. The customer service representatives are apologetic about this, however, there are times when you just want an answer without the hassle of waiting. They sometimes have to back and check with other people before they can provide a final answer to your questions. Overall, we feel the pros do a lot more than outweigh the cons. Here is a summary of the great features offered by iPage. Do they have chat support? Yes. They have chat support available 24 hours a day. Is there a money-back guarantee? Yes. There is a 30-day money back guarantee. How does iPage service match up with its price? The price depends on length of subscription. The service is the same regardless of cost. Is there automatic backup? Yes. IPage offers UPS backup and generator. What is standard monthly fee? The standard package is $7.99 per month with introductory price of $1.99. What kind of website is this hosting service ideal for? This hosting service is ideal for any website that doesn’t anticipate super high traffic. A very important aspect of aiPage review is the user experiencesince there is nothing worse then a hosting company where you do not understand the different functions and can’t find anything. iPage’s control panel is very simple to use. It looks different from other sites but this is a good thing. Whether you’ve developed hundreds of web pages or this is your very first one, you shouldn’t have any trouble navigating the iPage interface. The great thing about iPage is that if you do get stuck, they offer 24/7 support. In fact, even before you sign up with iPage, you can ask their techs questions about their site. The website offers a summary of just about every feature you could possibly need to know. You will have a good idea if iPage offers what you’re looking for before you even sign up. Designing and building your website through iPage is very easy. It comes equipped with WordPressone-click install. 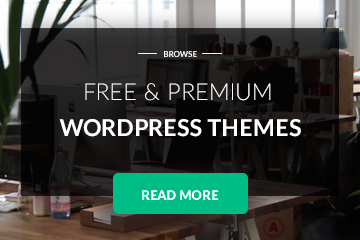 It offers hundreds of templates and themes. With the most basic subscription, you still have access to easy to use setup wizards. The website builder itself is just 6 easy pages. It comes with a mobile optimized site builder. It allows you to customize your site to include any possible feature you may need. You can set up multiple blogs. You can also set up photo galleries and forums in which your customers and associates to engage. Choose from several different content management programs including WordPress, Joomla! And Drupal. Unlimited Disk Space – There is no limit to the disk space you can use for your website content. As long as you abide by iPage’s terms and conditions, they will support as many files as you need. Scalable Bandwidth – There are no set limits on iPage’sbandwidth. For non-techies, bandwidth is just the amount of traffic that can run through your website at one time. If for some reason you become so popular that you need more bandwidth than iPage can support, they will help you select a private server. Generally speaking, iPage can support more than 99.5% of their customers’ bandwidth needs. Unlimited domain names – there is virtually no limit to the number of available domain names. If you can think of it, they can accommodate it! Free SSL certificate – A SSL certificate is what keeps your domain secure. They are small data files that bind your organizations with a cryptographic key. When this is installed on our site, it acts as a padlock. You need a key to access the information that makes your website operate. Free domain for 1 year – You get a free domain name when you sign up with iPage. This is true whether you sign up for 12 months, 24 months or 36 months. Unlimited MySQL databases – MySQL is just a free, open-source management system. People prefer them for their websites because they are reliable and they are fast. iPageequips you with a MySQL database and phpMyAdmin interfaces. All of these features are available on competitor’s sites as well. However, nobody offers the speed and quality of iPage for the price that iPage offers. This is the section you were dreading, right? The section on technology. We promise we will make this as painless as possible. Most people who want to build a website for the first time just want to have someone tell them how to do it. They don’t care about what happens behind the scenes. iPage does make it simple for you. However, you do need to know this information. If you are going to comparative shop, you need to know what each company offers. iPage offers the following world class technology with every level of service. It doesn’t matter what subscription you sign up for, iPage offers all its’ customers premier technology. Some of these services are available with other providers but only for an additional cost. iPage offers all of this free to its’ users. iPage is cheaper than other prominent web hosting providers. They offer introductory rates for new customers. These rates are low. They offer different commitment lengths rather than different levels of service. It is important to iPage that all of their customers are provided with optimal service and functionality. Compared to many other web hosting companies, iPage is just cheaper. There is no other way to say it. They offer the same level of service to all their users. They compete with companies like Godaddy.com when it comes to service and technology. Even though iPage is one of the cheapest solid providers of hosting our there it is always a good idea to screen the market for a iPage Promo Code. We did the work for you and here it goes – there is currently no functioning iPage Promo code just great offers and compatible prices. We will keep you posted about future iPage Discount Codes. Just go to the iPage website and read the pricing section for great offers (feel free to use one of the links on this website and help us have the resources to continuously work on scanning the hosting market for you. iPage review – how is customer service? You would think with such low prices iPage would skimp on customer service. This is not the case. They offer 24/7 live tech support. They have customer service representatives available 24/7 to answer any questions you may have. They’ll even answer questions for people who aren’t customers yet! iPage offers a 30-day money back guarantee. They are just very confident that the services they offer are top notch. They don’t fear that they’ll lose money by offering this guarantee because almost all customers are very happy with their service. IPage offers an online help center. Like most other web hosting providers, they operate under a ticket system. This allows you to track progress on your tickets and see exactly who is handling it for you. One-thing iPage offers that come in handy for beginners is a step-by-step guide. If you are developing your website for the first time or just want to create some new innovations, iPage is there. They have put step-by-step guides into place so that at any time, you can get a detailed tutorial on how to accomplish your goals. It is important to iPage that they can accommodate just about any customer that may come their way. It sounds cliché to say that no client is too small or too big – but that is true with iPage. Even companies with a ton of traffic can benefit from iPage. If for some reason the standard web hosting plan doesn’t accommodate such high volume, iPage will consult with you on a virtual private server. However, since over 99.5% of all users have no issues with traffic accommodation, this shouldn’t be an issue. The good news is that, if it does become an issue, it is because you have become more successful than your wildest dreams! Keep in mind, web hosting companies, in general, are meant to be used by beginners. They are not going to be where sophisticated websites developers go. They don’t want to be. They cater to the everyday business owner who has no idea how to develop software or a website on their own. If the price is important to you, then iPage is ideal for you. You get all of the features of the popular web hosting companies, but for much less. The first three years of iPage are so cheap, you really can’t go wrong. Even after the three years are up, the prices are no higher than other web hosting companies. Overall, iPage gives its customers quality service for discounted prices. You are not going to find this level of support and technology with another web hosting provider. If you have any questions, remember, the agents at iPage are ready to answer any questions or concerns you may have 24 hours a day, 7 days a week!